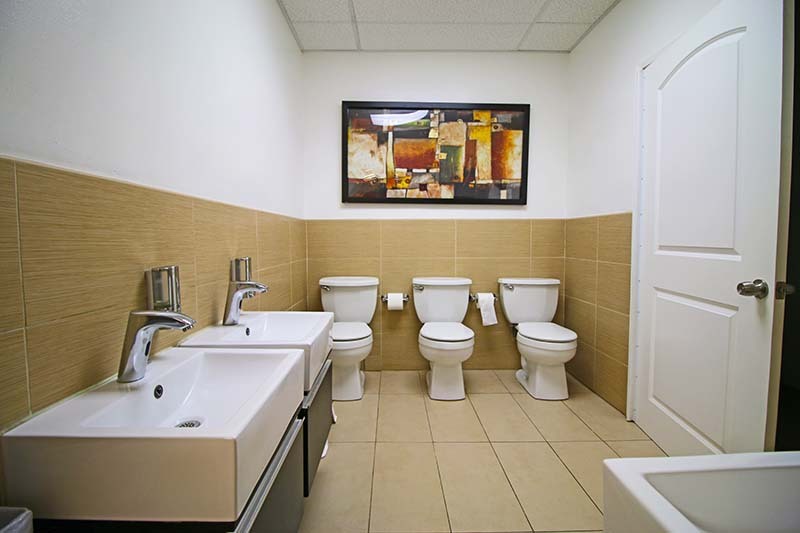 Don’t our washrooms look clean and tidy? We designed them to be bright, modern and cheerful and easy to maintain cleanliness. This ambience gives students a positive experience of going to the washroom. Small soap dispensers, easy reachable wash basins and child size toilets makes going to the washroom a pleasant experience for young students. Many kids are scared of the large toilets, fearing they will fall of the toilet. With our child size toilets, potty training becomes easier and quicker. Our diaper changing bed has little steps that kids can climb. This makes it easier for the teachers. An easy reachable diaper changing sheet is applied on the changing mat; to maintain the optimum hygiene standards. To top it off we have an exhaust fan and electronic air freshener that will make the students toilet experience the best it can be.